Awareness abounds in April! Each year, we are asked to become more mindful, to strengthen our advocacy, and to build allies to promote safety from child abuse and sexual violence. This year’s theme for Child Abuse Prevention Month is “Building strong and thriving families,” and for Sexual Assault Awareness Month, the theme is “I Ask” – emphasizing the importance of teaching and practicing consent. 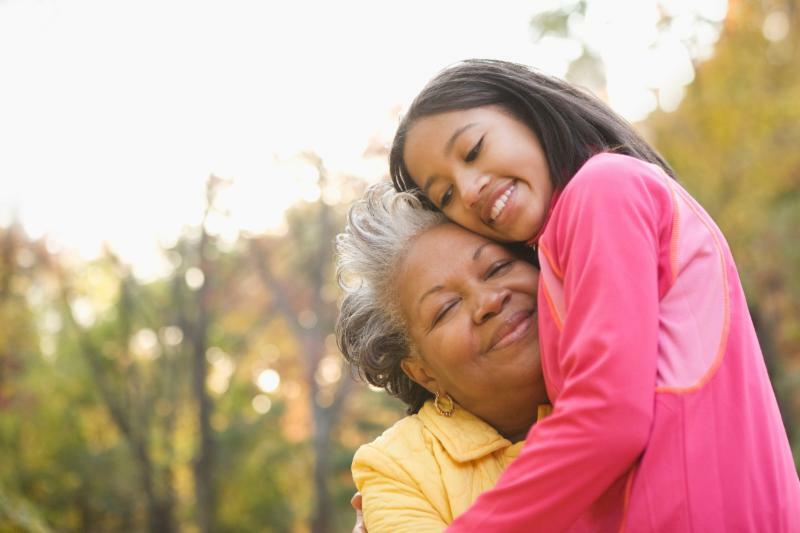 We never expect these things will happen in our families, and they test our resiliency. Families need strength and the resources to thrive – especially when they are in the midst of a crisis. As parents and caregivers, we are called upon to both teach our children and hold them accountable. Learning from mistakes, even huge and harmful mistakes, contributes to personal growth. Being responsible and accountable helps us flourish. With our emotions pulled in many directions, we must navigate our response in the privacy of our home, in our relationships with our children, and in our responsibility to our friends and community. To become more mindful this month of every person’s right to sexual safety, we invite you to look for opportunities that may seem initially like a barrier to sexual abuse prevention. Perhaps someone has already harmed another, or maybe there are warning signs that a child could be abused. What can you do now to be an advocate AND an ally? How can you bring strength to this person, this family? How can you share information about healthy and respectful boundaries? How can you help someone be accountable? Campaigns that shine a light on what we can do to help both children and adults live safely, without abuse or harm, offer us the chance to learn and to work together. Like the mom writing in about her son’s harmful behaviors, we can reach out and ask for help. This month’s enews is full of resources to help you bring attention to the importance of prevention. We also invite our Stop It Now! audience to join the Pledge to Prevent™ campaign. #PledgetoPrevent is a collaboration of national organizations committed to engaging their networks and citizens everywhere to take specific, doable actions to prevent child sexual abuse. We can all take a pledge to protect children. Thank you for all you do to prevent harm from coming to children. Together we can help families stay strong, thrive and have healthy, safe relationships. Spotlight: The Helpline Report... coming soon! We have had 22,384 conversations about sexual abuse since the first Helpline phone call in 1995. For the worried adults who call, email and chat, our Helpline provides a spark of hope that sexual abuse can be addressed and they can take action to provide healthy, safe environments for children. The vast majority of bystanders (70%) seeking help with a personal situation know both the vulnerable child and the person who is at risk of or already has abused them. Of those adults reaching out for help with their own unwanted sexual feelings and behaviors, more than half call before a child is harmed, and they’re seeking guidance on how to stay safe. Of survivors who call us, 85% have never reported abuse to authorities. For many, their call to the Helpline is their first disclosure at all. Click here to view a special preview of the Helpline report. And stay tuned for the full report, anticipated in early May. Have you ever had a conversation with someone about his or her boundaries with children that concerned you? If yes, please share! In preparation for April, there are wonderful tools so that whether you are bringing awareness to the need for everyone to be safe from abuse and sexual violence as an individual or as an adult, you don’t have to go it alone. 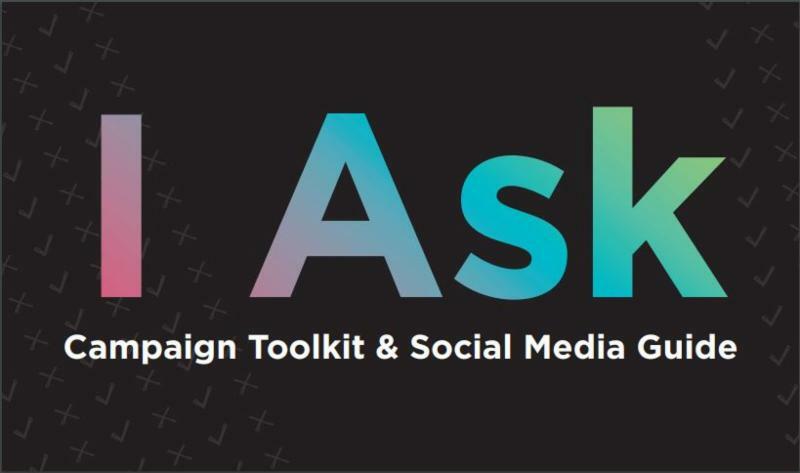 Check out the I Ask Campaign Toolkit & Media Guide from NSVRC, and learn more about bringing awareness to the importance of teaching and modeling consent. Also learn more about National Child Abuse Month, and download your own 2019 Prevention Resource Gide for Strong and Thriving Families from the Children’s Bureau. Prevention is not just about how we proceed to protect children, but also in how we move forward when abuse has happened. How we listen to survivors about what they need AND how we can we can work with people who have harmed to build their understanding of what they have done and the impact of their actions are both cobble stones in our pathway to prevention. While these resources are not specifically about child sexual abuse, they share perspectives about steps we can take after sexual violence has occurred. Accountability and responsibility in the era of #MeToo – Joan Tabachnick and Cordelia Anderson (both prevention committee members of the Association for the Treatment of Sexual Abusers and Stop It Now! advisory council members) authored this contribution to the ATSA Forum Newsletter. 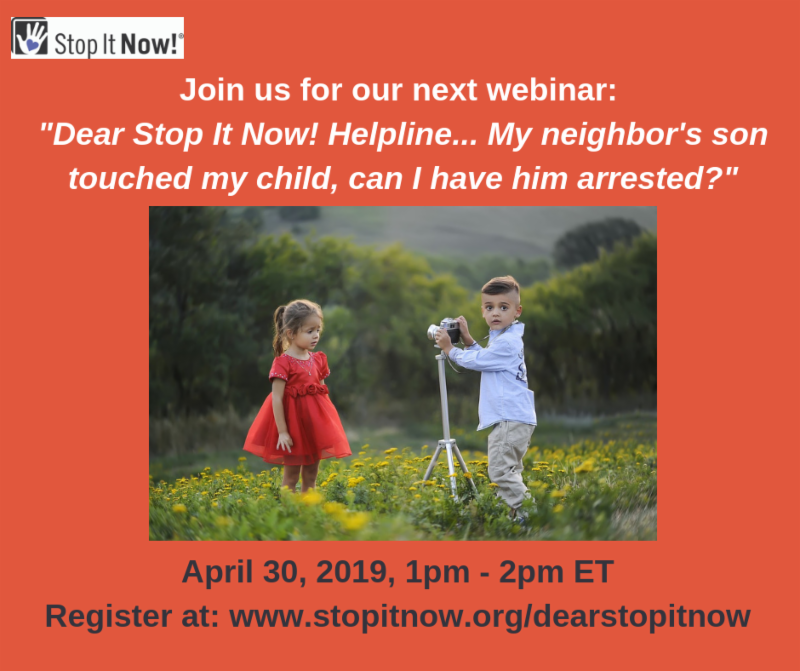 Our next webinar, “My neighbor’s son touched my child, can I have him arrested?” takes place on April 30, 2019. Participants will learn more about how to address children’s harmful sexual behaviors – when the child is not their own. 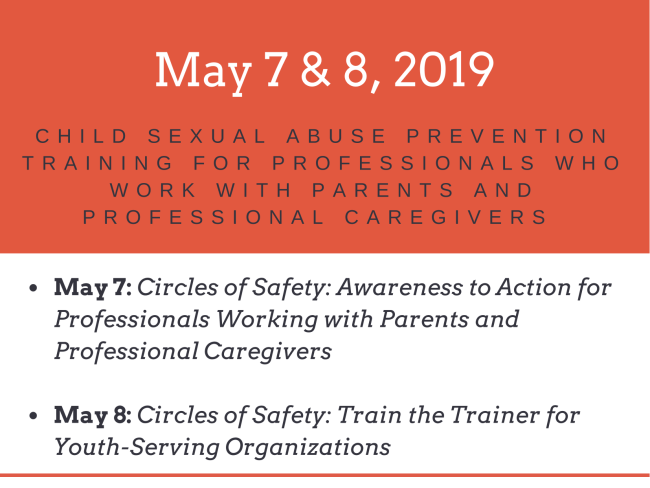 There’s still time and room to join us for the training, Circles of Safety: Awareness to Action for Professionals Working with Parents and Professional Caregivers in Hartford, CT, May 7-8. Protecting children in involved with youth serving environments is made easier when you are both informed and confident that you know what you can do to create the safest environment possible. Part of the Stop It Now! Helpline has always included responding to letters from adults incarcerated for sexual offenses. These Helpline folks are often seeking resources to help them stay safe and build a healthy and harm-free life upon their release. 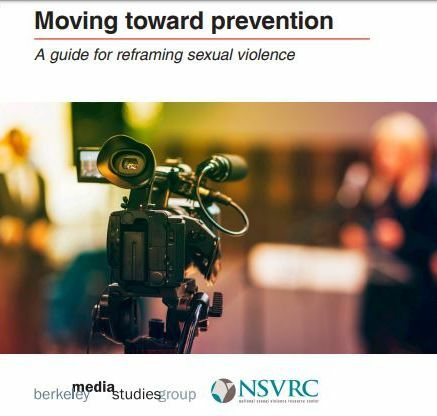 Stop It Now!, along with Safer Society and the Association for the Treatment of Sexual Abusers (ATSA), is creating a booklet for people to support their plan for safety and responsibility. Prevention depends on care for all. © 2019 Stop It Now! All Rights Reserved.